Midwife in Training for the Paris Marathon! “Paris will be my 3rd Marathon after running London in 2012 and Brighton in 2017. I have never followed a training plan before due to both naivety and other commitments however this time I have! My 16 week training Programme commenced on Christmas Eve and has me running 4 times a week with 1 long run and 3 shorter runs included in this. 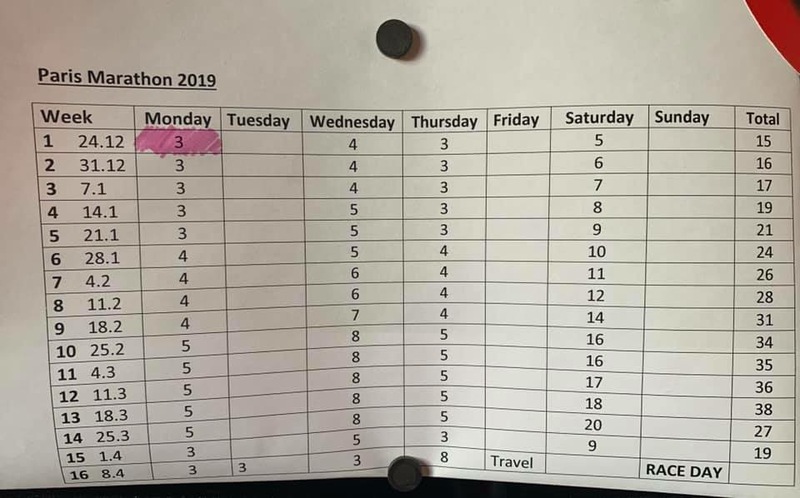 As a midwife, my shift pattern varies throughout the week including day shifts and night shifts so I can’t always stick to the days that my training plan suggests but I mix it up and make sure I hit my total mileage for the week one way or another. I have also taken part in a number of race events including 10k’s and half marathons to help me prepare in a different way. It is a huge commitment and can be tough but it’s 100% worth it in the end! I have even invested in some high visibility jackets and lights that flash on my trainers for those late night after work runs. I am really excited about the Paris Marathon. Marathons have always been a big thing in my family. My mum and dad used to take us to Greenwich every year to watch the London Marathon which is where my interest started but when I watched two of my brothers complete it, I was so overwhelmed with emotion I knew that this was something I wanted to do! Running the London Marathon at 18 years old, I never dreamed that 7 years later I’d be heading to Paris to do it all again but the ‘Marathon Bug’ really is a thing and I well and truly caught it!